This was inspired by this Photojojo post. Chose a photo with multiple focal depths. This penguin is from a trip I took to Antarctica. Duplicated the image, and remove the penguin using Content-Aware fill in Photoshop. 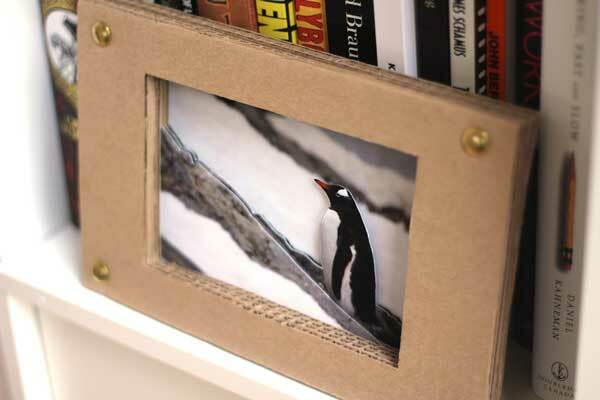 Print the original photo x 2, and the background plate (no penguin) x 1. Cut out everything “behind” the penguin in the middle layer. The background layer, without the penguin, stays intact. 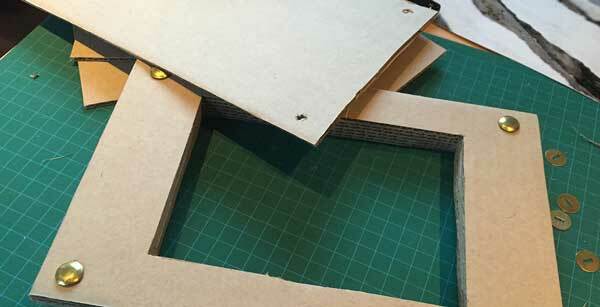 Cut all of the sides and flaps from a small Amazon box. 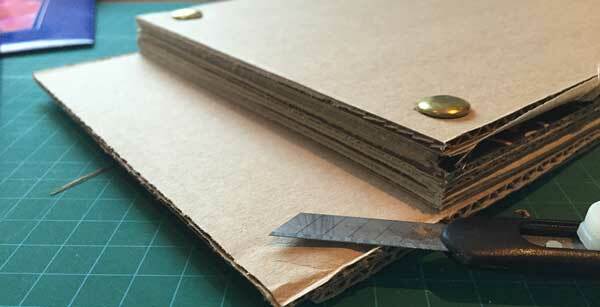 Drill at four points around the hole and fasten the cardboard layers together with brass screenplay brads. Could also use nuts and bolts with washers. Trim around sides with knife to make an clean “block”. Cut out the centre hole very carefully with knife all the way to bottom. Remove the fasteners, but remember the order of the layers. Glue “background plate” photo to the intact piece of cardboard. Place the rear-most cut piece of cardboard on top of that background, then glue the next photo layer to it (on the sides). Repeat until no more layers, then put the remaining layers on top and fasten together.